Darrell Carrillo: Darrell is a native New Mexican from Las Cruces, NM. He attended Mayfield HS from 1981 to 1982. He was a member of the Mayfield HS State Championship team in 1981 which was lead by Ray Birmingham (Lobo Head Coach). Darrell worked at Mickey Owen Baseball School from 1979-1983. In 1984 he attended the University of New Mexico and played under the great Vince Cappelli from 1984-87. He was on the squad in 1985 when the Lobos were ranked 15th in the Nation. Darrell ended finishing up his college senior year at NMSU, under Mike Riley. In 1988 Darrell spent a very short stint of time in Independent Pro ball with Salt Lake City. In 1995 Darrell joined the Colorado Rockies as an associate scout and is currently a scout for the Washington Nationals. In 1997 Darrell brought the first National Baseball Showcase to Albuquerque, NM. The showcase was the "Best of the West National Showcase" and the results were fabulous. In 1999 the event grew so big they ended up moving the event to Los Angeles, California. With over 500 players signing Division 1 scholarships and over 300 players drafted that participated in this event. 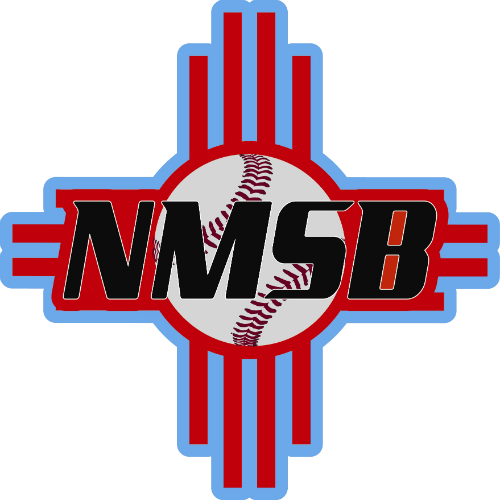 Darrell is now the director of New Mexico School of Baseball which conducts scout teams, elite traveling teams to showcases, tournaments, baseball camps and clinics. Darrell was chosen to coach the USA Baseball 13 and under Mountain West Team in North Carolina, and was just named Regional Director of the All American Games Jr. World Series. Darrell has trained with many great coaches and ex professional players but his favorite was his catching coach "Charlie O'Brien" who played for the Atlanta Braves. James Cordova: James Cordova is a business professional in Albuquerque with many accomplishments including being nominated and participating in Leadership New Mexico. www.leadershipnm.org. His passion is the game of baseball and his family has a legacy of success in the south valley. He has been coaching baseball for over 20 years, and is our primary pitching instructor. In addition to numerous club baseball teams he was the pitching coach at Atrisco Heritage Academy for 3 years. He has turned his focus to helping kids get to the next level. James was quoted saying "When kids sign up to train and play with us it is our responsibility to get them better and hopefully to the next level." James prides himself in getting kids an opportunity to play at the college baseball, and is relentless. Please see testimonials for a snap shot of what James does for the kids in our program. James organizes and oversees the High School Program. Luke Hopkins: He comes from Albuquerque. Luke graduated from St. Pius X and helped his team win a State Championship his senior year. The same year he was awarded the New Mexico player of the year. Luke Attended College at New Mexico State University. He was named College All-American player and all conference. two seasons at NMSU: 30 HRs and a .400 career BA. He holds the Freshman record for homeruns in a season as well. He was drafted by The Toronto Blue Jays as their third pick, in the fifth round, of the 2006 draft. After his first season with the Blue Jays he suffered a career ending injury. . Luke has coached several club ball teams and has helped the Saint Pius High School Coaching Staff. Luke will serve as NMSB primary hitting instructor and runs the Youth Program. Our individual coaches change from season to season depending on our needs and goals. However, the oversight and management of the coaches remains constant with the leadership of Darrell, James and Luke.